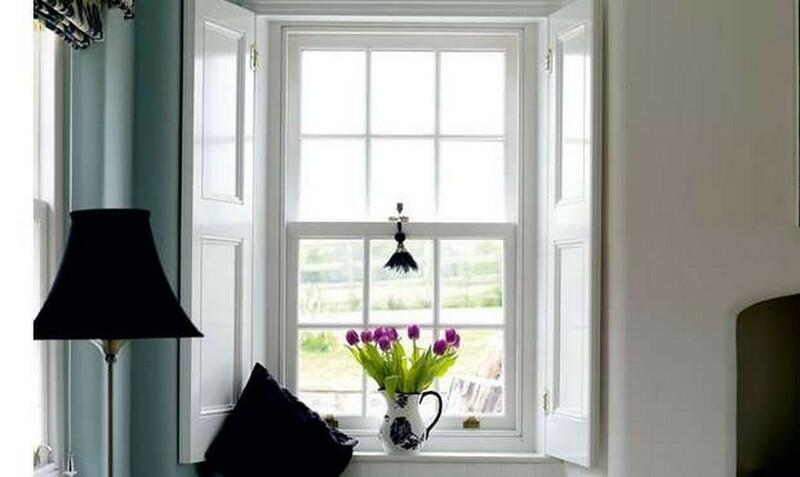 Thanks to their timelessness, many of us lucky enough to own a property with sash windows do our best to maintain them. This is not always an easy job, as despite their apparent simplicity, sash windows present many difficulties when it comes to cleaning, upkeep and repairs. Opening mechanisms are typically entrenched in the window casement, and only a few styles are designed to allow you to swing windows inwards or completely lift them out of the frame. Before starting any work yourself, be realistic about your level of skill. Even if you have some ability (and plenty of patience), hiring a professional can be far more efficient, and keep your historic windows in safe hands. There are local specialists nationwide, and a quick search will help you find recommended casement specialists in London, or the best sash window experts Guildford has to offer. Sash windows deserve to be kept sparkling. Not only will a regular clean keep them looking enviable, but it will give you the opportunity to look for any faults in the glass or frame to catch them early on. Start with the top panes in the upper sash. Open the upper sash as far as you can, then carefully lean over the top to clean. Next, raise both parts of the window to the top of the casement. Sitting on the windowsill, facing inwards, reach up to clean the bottom panes. Lower the top sash as far as it will go, then lift the bottom sash high enough to clean its upper panes by leaning over the top (similar to step one). Lastly, close the top sash fully and keep the bottom sash partly open, to reach underneath and clean the lower panes. On top of cleaning, it’s important to take care of the woodwork, treating and painting it regularly. It might not be the easiest task, but taking the time to do the thorough job will make a huge difference in the appearance and longevity of your windows.Avoid the temptation to simply add another layer of paint – without any extra work it will be more likely to peel and flake, making it barely worth the effort in the first place. Remove all window hardware (fasteners and handles), and use a thin-bladed scraper to carefully remove excess paint layers. Gently sandpaper the paint underneath, clean it with sugar soap, and rinse. Once it’s dry, you’re ready to paint. If you find a fault with your sash window, it’s important to address it as soon as possible. Neglected faults can get worse over time, particularly leading to problems like wet rot. However, most repairs are fairly straightforward for a professional to complete, if dealt with quickly. If your windows stick every time you open or close them, it can be a sign that the paint is too thick. Choose a dry weekend, and treat any problem windows by stripping away excess paint. Gaps at the windowsill, often resulting in draughts or slight whistles when the wind blows, are an indicator of everyday wear and tear becoming too much. Brushes and seals are available from most hardware stores, but a skilled carpenter should be able to adjust the fit and have them working like new. If you notice that the paint is becoming discoloured, it may be due to rot in the wood underneath. If the damage is minimal, strip back the paint underneath, and carefully remove the affected timber. This can be replaced with a filler resin relatively easily, which must then be sealed to prevent the damp returning. Fraying (or totally broken) cords can be replaced at home with some effort and patience, but it can be much simpler to hire the services of a professional. If maintaining traditional sash windows seems like a lot of effort, remember that it’s worth it. Would your home look as distinguished with modern, uPVC replacements? Probably not. When properly cared for, sash windows offer an incomparable view over your surroundings, and provide buckets of character for your property – and will do for years to come.